The most delicious pineapple bun I've tried till date! 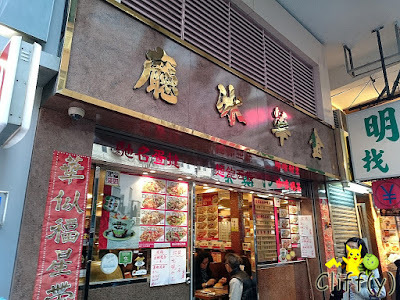 It's said by many that the best pineapple bun in HK can be found at Kam Wah Café, a hole-in-the-wall eatery located between Mong Kok and Prince Edward MTR stations. For the uninitiated, a pineapple bun doesn't actually contain any traces of pineapple, but visually it resembles one. Given all the pineapple buns I've had thus far, I can't agree more that Kam Wah's version is the best. 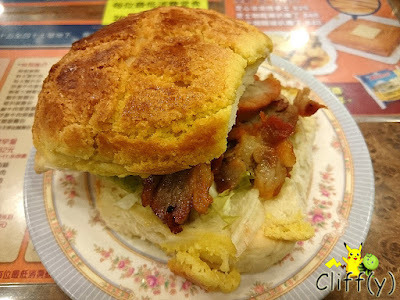 The bun served that morning was delightfully pillowy with such a crunchy and buttery top layer. The barbecued pork was done well, having adequate fatty layers that left me craving for more. My BFF and I got ourselves a breakfast set each. 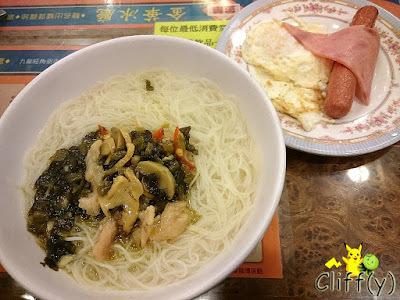 I had a bowl of rice vermicelli soup topped with pork slices and preserved vegetables, which wasn't bad at all. On the side were two sunny-side up eggs, a sausage and a slice of ham. BTW, the breakfast set also comes with either milk coffee or milk tea. 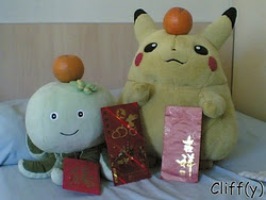 Pika's advice: Not a fan of rice vermicelli? You can opt for yellow or glass noodle instead. 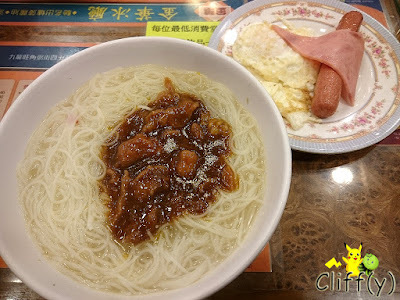 My BFF decided to go with rice vermicelli as well, but with a different topping of stir-fried beef. It turned out to be pretty savoury. I forgot to mention earlier that all of the sunny-side up eggs came with moderately runny yolks, which were a delight to put into the piping hot bowl of carbohydrate. 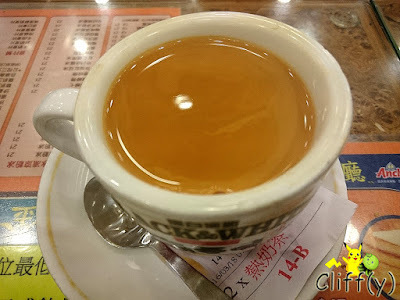 I wasn't particularly impressed with the milk tea, but it was decent. I felt that it could be more fragrant and velvety. Anyway, I'm not sure if you can guess from the picture, but the cup that I got was somewhat deformed. Do note that the eatery doesn't have an English sign, so here's a picture of the facade. I doubt they've got English menu either.